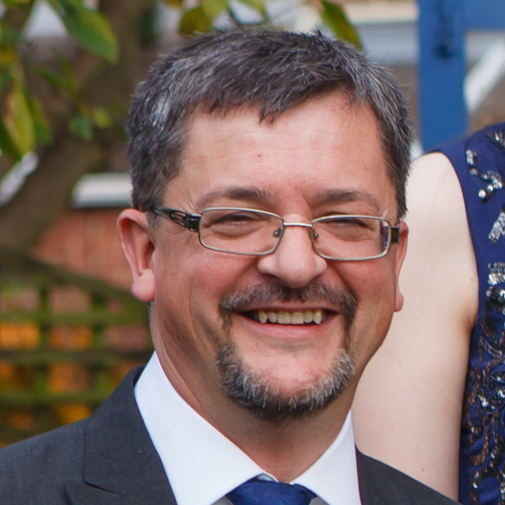 Hello I’m the Pastor of Nazeing Congregational Church, I’m originally from Shropshire and recently moved here from Colchester where I had two roles, a part time pastor at Prettygate Baptist Church and part time as a postman. Listen, I tell you a mystery: We will not all sleep, but we will all be changed in a flash, in the twinkling of an eye, at the last trumpet. I realized my plan wouldn’t work, a twinkling of an eye! I decided that night to follow Jesus. We are a welcoming church, a typical service will have a children’s talk a mixture of old and new songs, a couple of Bible readings and some prayer. We will don’t take up an offering, we won’t make you pray, you can just come and watch and join in if you want. A service will last approximately an hour, sometimes it will go on a bit longer but not often. Every week I will take a passage from the Bible and preach from it, our current series is from the gospel of Matthew. Why not try us out? I’ve been happily married to Deb since 1988 and have three grown up children and a lazy whippet. We are seeking to spread the good news of Jesus Christ into the village of Nazeing.